The Single Upload Multi-POD platform launched on May 15, 2018. The first of it’s kind software to allow designers and photographers and other artists to upload their artwork file 1 time and send it to multiple platforms across the Internet. I was an “Early Beta” tester. The program is currently in BETA. This post was last updated on October 15, 2018. Single Upload (SU) launched as an IndieGoGo Campaign. (Affiliate links are included on this page.) Single Upload is owned by Matt Edmonds, who ran an exclusive platform called Rapid Creator. The Rapid Creator software only interfaced with Amazon.com and in a sense, wais the “baby” for the new, grown up – the advanced SingleUploader program aimed at linking to Amazon MF listings, Merch by Amazon, Etsy, CafePress, Zazzle, and more. It’s all about saving time. One upload to all platforms. Reach more customers – more exposure – more sales. A win-win for all involved. Merch by Amazon via TeeLance *Note: You can also just do Tee Lance by itself. It has it’s own unique features. 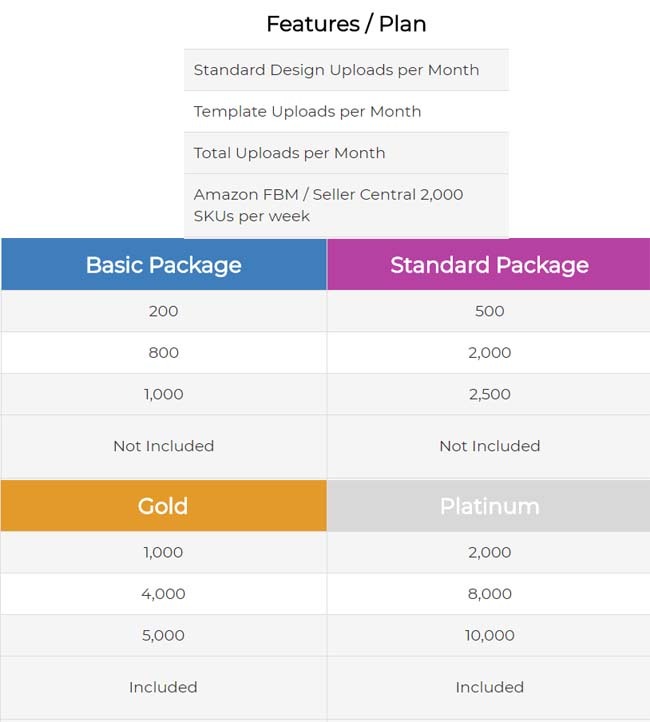 Which level of Single Upload platform offer is best? If you can afford it, and you have the vision to work this full time to upload tons of designs, choose Gold for Life. I’ve always been a fan of LIFETIME deals. Anytime you can get away from a reoccurring monthly fee for a tool that you know you will use forever – DO IT! I will add regular pricing after the EARLY BIRD BETA pricing has ended. I used the Rapid Creator program (the prior interface) for about a year before it expanded into the multi-pod Single Upload (SU). There were some bugs and bumps in the road. It’s always difficult coding an integration with other platforms, and especially with Amazon — who likes to change things up every minute. The support team always stayed motivated and responded to concerns. I hung in there and had a successful Q4 for 2017. I expect Q4 2018 to have even better results. Zazzle is in pending. They are working on adding Zazzle and other platforms to the list of Print on Demand sites that Single Uploader can integrate with. The company motto is “ADD VALUE” and this goes for the PODs they connect to as well as their designers. When you’re in… and something new comes out… they make every effort to give you added value. They try to include something with your past purchase (ie: you get something for free) and who doesn’t love that? I was an EARLY Beta Tester for the SU software. Connect with me by signing up for my newsletter of valuable ecommerce online selling tips, with a heavy focus on Amazon and Zazzle. This Program is currently OPEN to new Beta users.